Growing up a stone’s-throw from Grasse – still regarded as the perfume capital of the world – it’s no surprise that Nejma‘s founder, Marie Lise Bischoff, has scent in her soul. We find sandalwood from Mysore, Ottoman rose, Egyptian sambac and jasmines from Arabia, all harmonising to explore and highlight the note in differing ways – a reference to the original fable they were inspired by, and the differing facets of the beloved mother Nejma‘s personality. 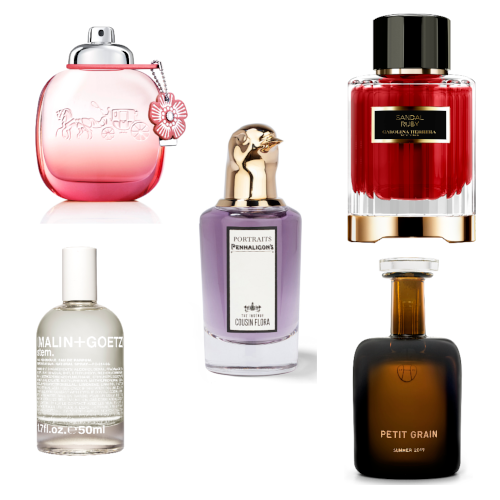 Explore the fragrances in depth, below. 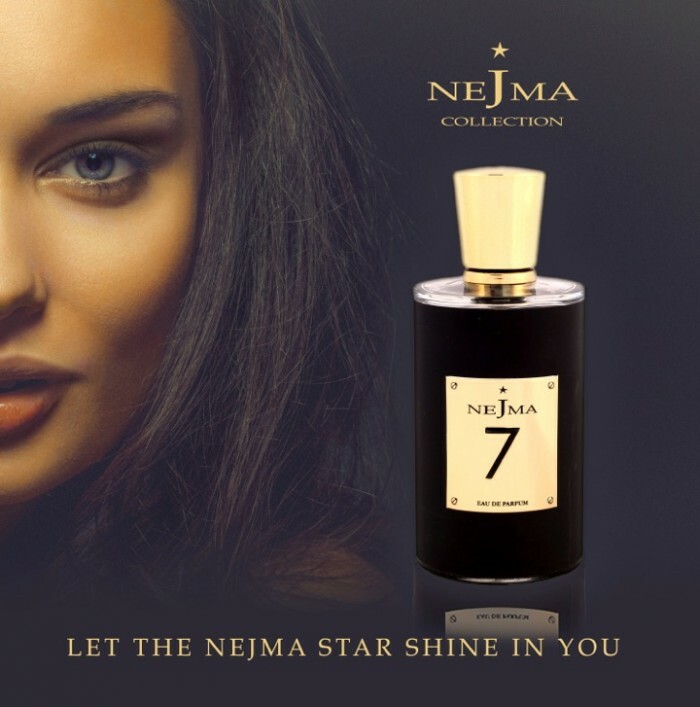 But – as a little preview – you’ll find Nejma One, a vibrant perfume with spicy top notes of thyme, roseberry and saffron leading to a floral heart of Bulgarian rose. Nejma Two is more subtle and delicate, fusing nuances of ylang ylang, white rose, clove and saffron in a modern and timeless accord. 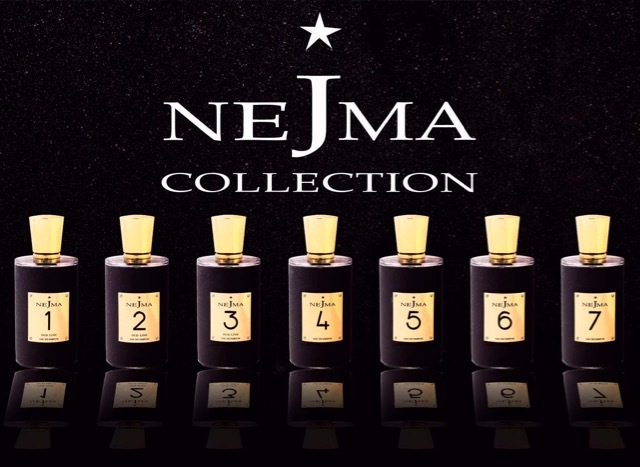 Nejma Three, meanwhile, is a melody composed around the floral harmony of ylang ylang, cardamom and bitter orange supported by floral notes of Bulgarian rose and hibiscus, while Nejma Four opens on a fresh floral note, with essences of ylang ylang and geranium; Four’s heart is a smooth symphony of Egyptian jasmine, wild narcissus and Ottoman rose. Nejma Five you’ll find fruity yet velvety and smoth, lively with notes of orange, bergamot, blackberry and nectarine before leading to a luxurious harmony of floral essences, while Nejma Six is reminiscent of a summer’s day, opening with the freshness of apple, pineapple and coconut before revealing a sweet and woody heart of incense, tonka bean and petitgrain. And Nejma Seven? Exploding in a dynamic combination of sparkling citrus fruits, it gives way to vibrant neroli, notes of cacao and coconut for a mesmerising sillage. Adding to their already diverse fragrance collection, Nejma has now enlisted the remarkable talent of Alice Lavenat, a young perfumer working for Jean Niel in Grasse, who entered the 2014 French Perfumers Young Perfumer of the Year Competition with a deceptively simple brief: create a fragrance with blackcurrant bud at its heart. So now we also have Parfum D’Alice, in which rhubarb, blackcurrant, pink grapefruit and pink pepper are enveloped by a rich bouquet of peony, orange blossom, Turkish rose and blackcurrant absolute; enriched by a base of Haitian vetiver, labdanum and – in a particularly pleasing nod to Alice’s roots – the woody notes of those Cognac barrels.